So it sounds solid that Star Trek lead and general handsome dude Chris Pine will join the upcoming DC Cinematic Universe. That’s been going around for a while. Aside from that, however, we don’t know exactly what role he’ll play, and it doesn’t sound like he does either, as according to a new report he is picking between two key parts. Birth.Movies.Death. reports that, according to one of their sources close to Pine, the 34-year-old actor is up for the parts of both Hal Jordan, better known to general audiences at the Green Lantern, and Steve Trevor, a love interest and substantial player in Wonder Woman’s story. Their informant says Pine’s up for Hal Jordan (it doesn’t say if there are also others in the running), while he has been offered Steve Trevor, though as of the other day, nothing official had been signed. There have been reports about both of these possibilities making the rounds. Initially the trades reported that Pine would play Trevor, while the most recent news, from a couple weeks back (and a few months ago), indicate he could play the actual superhero. This is an interesting situation, that he could be up for two big roles in different movies within the same linked world. It almost seems like the individual movies are competing against one another, which would be an interesting thing to see develop. We’re so used to Marvel having such a singular unified vision that perhaps we just assumed DC’s road would be that smooth. It’s just a strange thing. BMD’s sources indicate that Pine favors the Hal Jordan role, which makes sense. He’ll probably show up in the Justice League movies, and though he won’t get his own solo joint until 2020, you have to imagine having your own superhero franchise is more appealing than playing a supporting role in someone else’s. Steve Trevor is an intelligence officer who meets Wonder Woman during World War II when his plane crashes on Paradise Island. Diana nurses him back to health and falls in love with him, following him back to the normal world when he leaves, becoming his coworker, Diana Prince, who, as you know, also moonlights as a totally badass superhero. 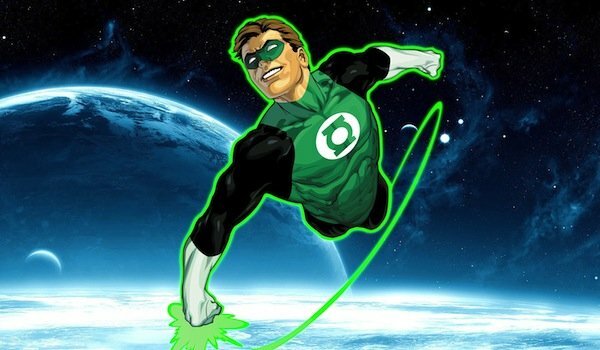 A part of the Green Lantern Corps, Hal Jordan wears a fancy magical ring that grants him superpowers and he fights evil across the universe. He last appeared on screen played by Ryan Reynolds in 2011’s not well received Green Lantern. It’s possible Chris Pine will show up at San Diego Comic-Con this week, and if that happens, we could hear one way or another about these rumors then. We’ll keep you posted.